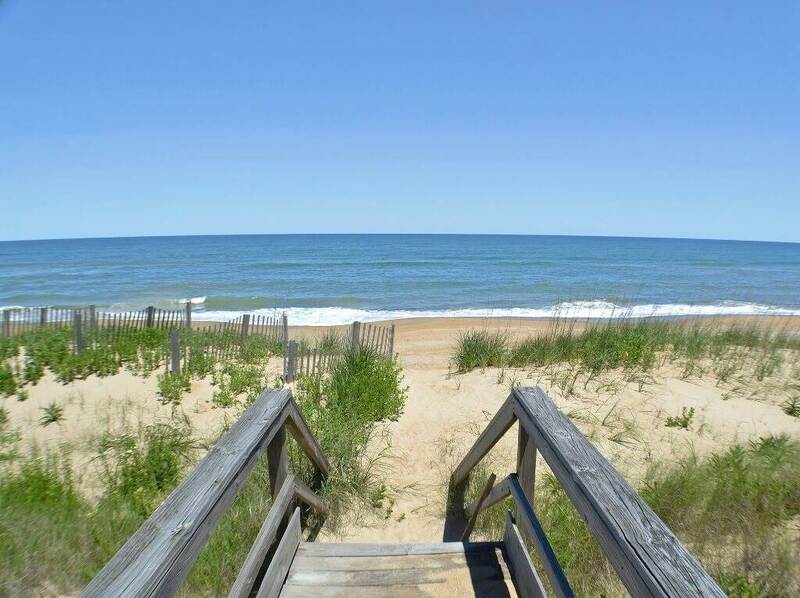 Seize the beach when you reserve this immaculate oceanfront home in Duck. 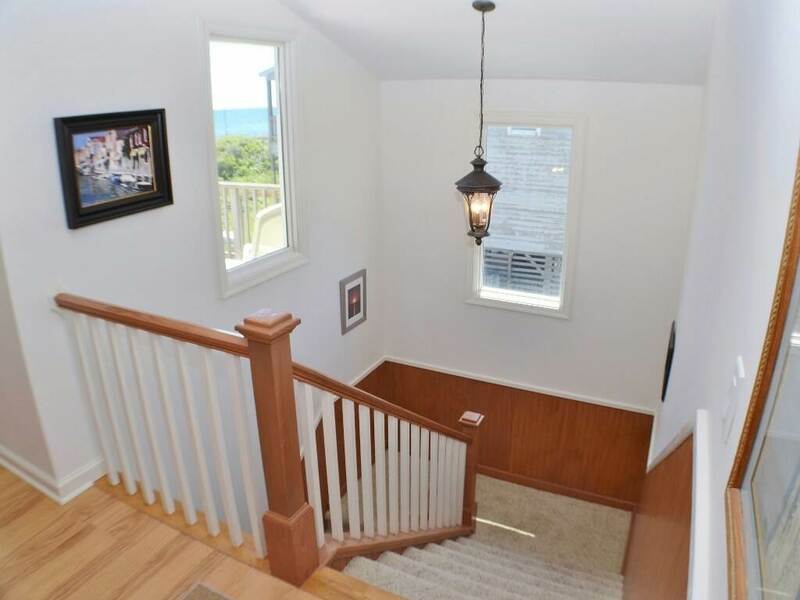 The reverse floor plan allows for a spacious living area with cathedral ceilings and walls of windows that capture the panoramic ocean views and plenty of natural light. The open-concept layout takes full advantage of the phenomenal views and is ideal for quality time spent with family and friends. 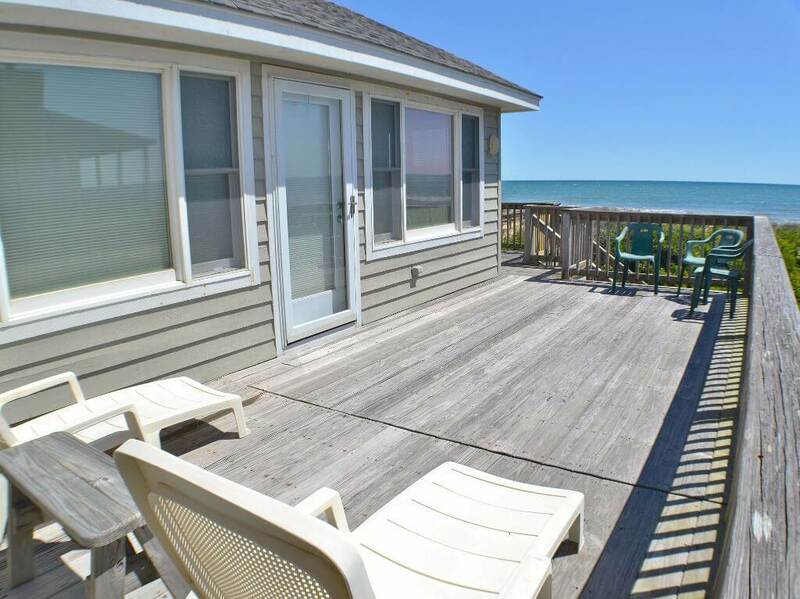 The wrap-around oceanfront deck serves as extension of the top level providing a convenient transition from indoor to outdoor living. A sun room adds to the common space on the top floor while creating a quiet nook perfect for reading. 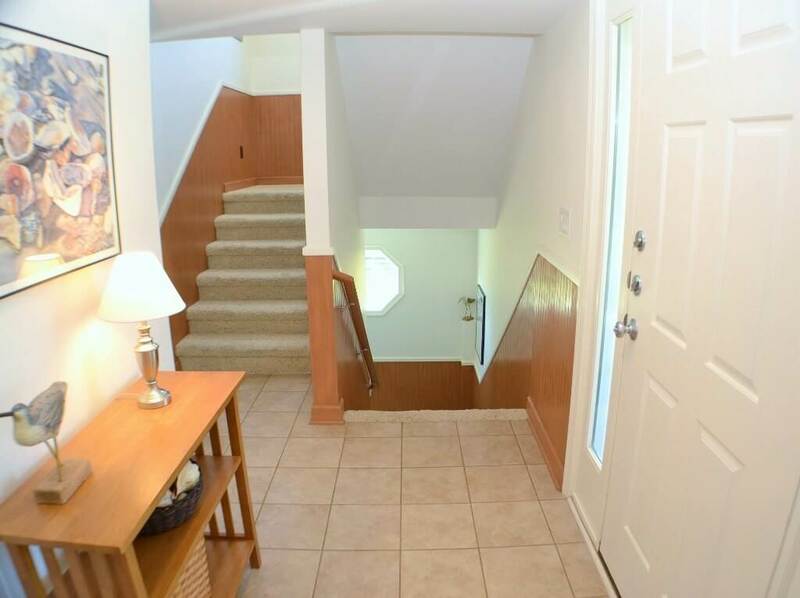 All the bedrooms are located on the mid-level for seclusion and convenience. 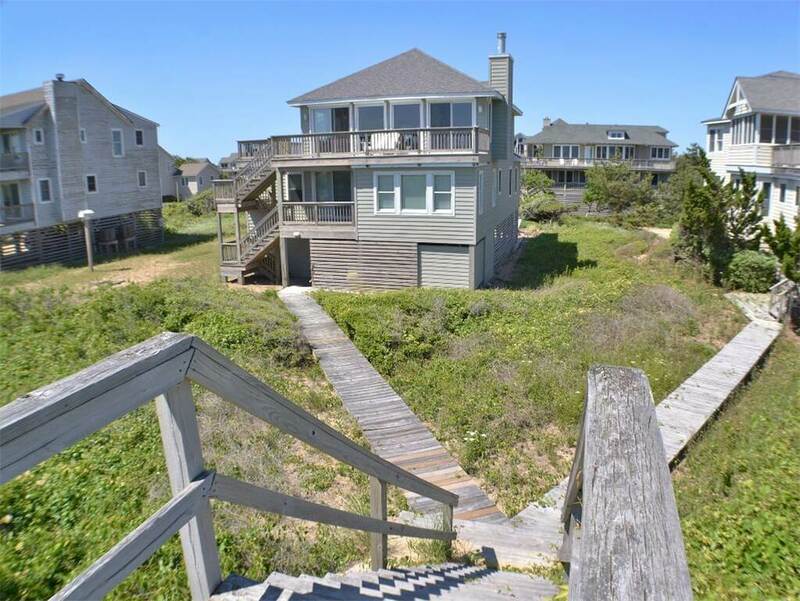 The home is ideal for extended families or multiple families vacationing together, featuring a master suite, as well as a king bedroom that has private access to a shared bathroom, and a third hall bathroom for the three additional bedrooms. 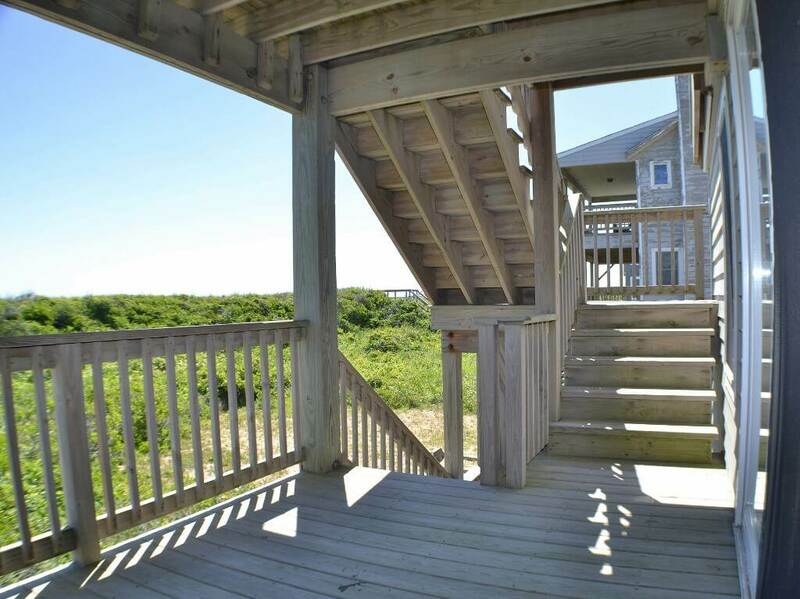 The beach is just steps away using a wooden walkway leading from the ground level to a shared access. 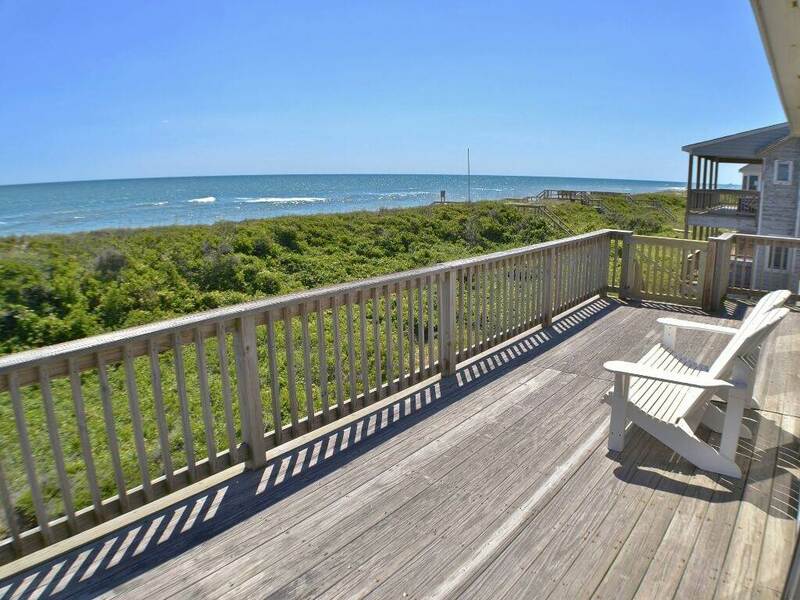 Located in the Sanderling community, guests who stay at “Carpe Beachum” also have community pool and tennis court privileges. The community pool opens in late May and closes in early October. The Sanderling charges a $25 fee per week to use the tennis courts.